Lock in a great price for Hotel Indigo Berlin - East Side Gallery – rated 9.4 by recent guests! Staff was really nice and the hotel felt really fresh and clean. Room and furniture was really comfy and modern. We were also lucky with the view - river and East Side Gallery. We were offered different room options when checking in. Location was perfect as well - not too far from public transport station but we did walk a lot as well. Very easy and safe to leave luggage at the day of check out as we had a later flight. Friendly staff. Comfy beds. Rooftop bar was good. Good value for money. Right next to a large number of different restaurants and close to some of Berlins best nightclubs. Would definitely recommend. 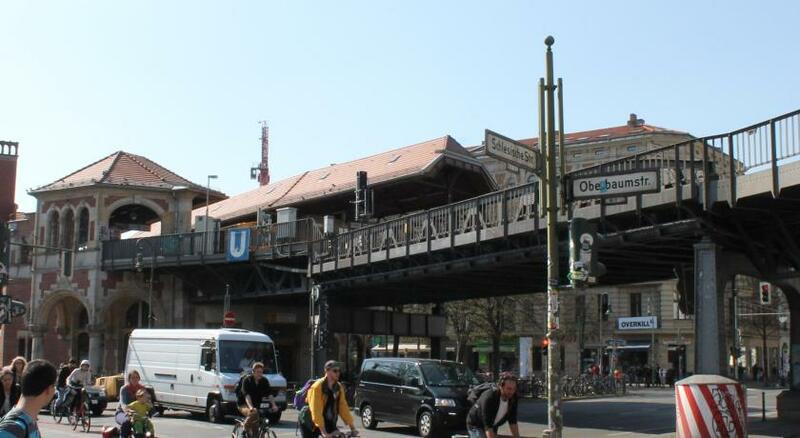 Great location (near many bars, restaurants, cafes and shops in the Friedrichshain area). The room was very comfortable and the staff friendly. Would come back here again for a next trip to Berlin. Located in the newly built area. so no charm, but a nice view over the river if you get Superior room. The hotel is located opposite East Side Gallery - an interesting place to make photos. 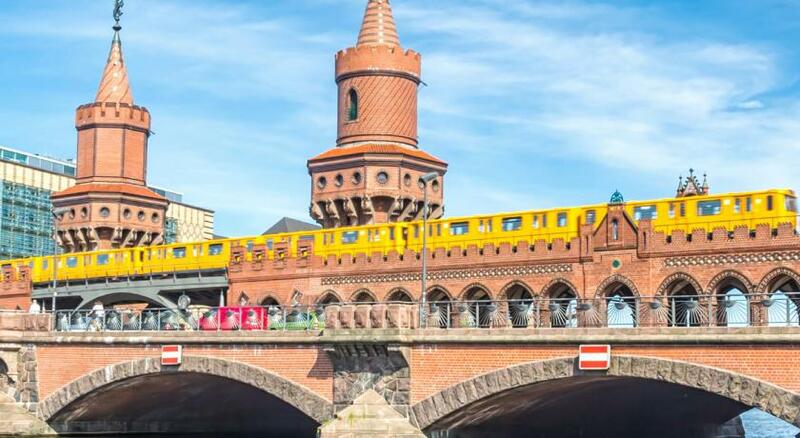 Transport availability is fine too, U-bahn and S-bahn less than 15 minutes walk. The hotel is new, it's very clean, it doesn't have problems with noises, our apartment had a big bedroom and big bathroom. Breakfast is really good. Everything was very nice! I like the staff because the were so nice and friendly. The breakfast was amazing. Hotel Indigo Berlin - East Side Gallery This rating is a reflection of how the property compares to the industry standard when it comes to price, facilities and services available. It's based on a self-evaluation by the property. Use this rating to help choose your stay! 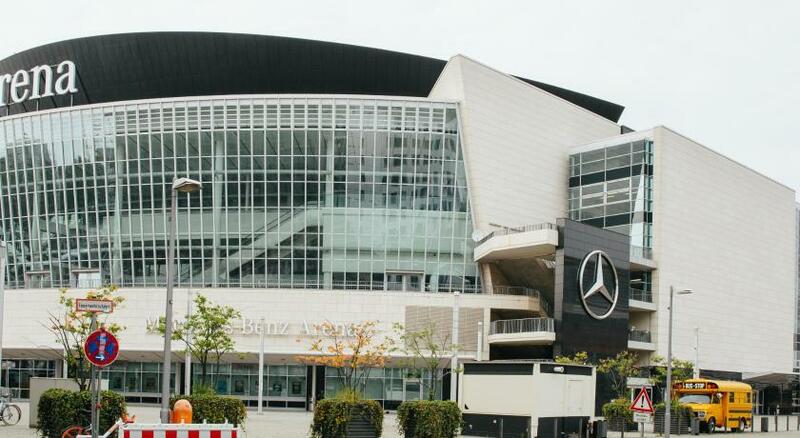 This stylish hotel lies between the Mercedes-Benz Arena and the East Side Gallery, the remaining iconic section of the Berlin Wall. It offers free WiFi, business services and a rooftop bar with stunning city views. Rooms at Hotel Indigo Dresden - Wettiner Platz are individually furnished. Each room is air-conditioned and includes a flat-screen TV, a desk, kettle and a private bathroom with shower. A continental breakfast is available each morning. The Gallery restaurant serves a range of local cuisine for lunch and dinner, and also offers offers vegan, vegetarian and gluten-free options. Many hip bars, cafes and restaurants can be found nearby here in the Friedrichshain and neighboring Kreuzberg district. Warschauer Straße train and underground stations are just a 10-minute walk away, offering excellent public transport connections throughout Berlin. When would you like to stay at Hotel Indigo Berlin - East Side Gallery? Air-conditioned room including free WiFi, a flat-screen TV, a desk, kettle and a private bathroom with shower. House Rules Hotel Indigo Berlin - East Side Gallery takes special requests – add in the next step! Hotel Indigo Berlin - East Side Gallery accepts these cards and reserves the right to temporarily hold an amount prior to arrival. When booking 10 rooms or more, different policies and additional supplements may apply. The hotel will contact you with more details. A sauna or a small spa would be a great addition to the hotel. Even if it was not a big deal, it would have been good to provide channels in foreign languages (especially news channels). Friendly staff, clean room and fancy rooftop bar! Fantastic location and close to several clubs. I can't name any disadvantages of this hotel, probably because I stayed there only for 1 night. Hotel has a quiet and pleasant location outside the urban center, the room is large and quiet, breakfast is nice. Excellent location, clean & stylish rooms and friendly staff. Good rooftop terrace and nice touches like sparkling water in rooms and complimentary cocktail. You could hear the faint sound of house music all night but to be honest that comes with the area.